BMKG’s Public Relation Head, Hary Tirto stated, in the morning, weather will be cloudy in West Jakarta, Central Jakarta, South Jakarta, East Jakarta, North Jakarta, and Seribu Islands.
" In the afternoon, weather will be sunny and cloudy"
"In the afternoon, weather will be sunny and cloudy. But rain will hit South Jakarta. 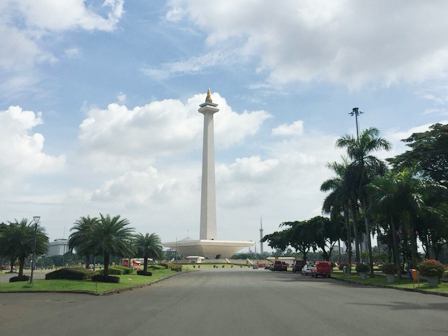 At night, weather will be cloudy and rain will pour West Jakarta and Central Jakarta," he stated, Saturday (11/17). At tomorrow's dawn, Jakarta will be cloudy.